There is the coming-of-age album and there is the coming-to-stay album. Usually, there is an interregnum between the two, a time of experimentation and quiet transition. For Simisola Ogunleye, the Chanteuse from Ondo Town, this period was more experimental than silent. Her coming of age album, Ogaju, a 10 track gospel album released in 2006, was produced by Samklef. Those in the know will remember Ara Ile, that delightful Funky Yoruba Gospel Song of divine adulation on heavy rotation on the makeshift campus fellowships. Those who had been converted to the discipline of listening to Nigerian sounds will, at least, remember her sophomore effort, a five track EP album Restless, best described these days as an Alternative Music Mixtape. Between Restless, in 2012 and now, to state the obvious, five years and Chemistry, a duet album with rapper Falz has passed. Simi has moved from been an indie musician to inking a record label deal. Her silky voice has become an unmistakable household fixture in Nigerian Music. At that core of her musicianship is a dedication to her sound and craft, to message and meaning. She embodies that Nigerian experience, especially that of the South-Western region in her ability to code-switch and energize her lyrics with Naijaspeak, harmonies and comical asides. Simisola, her album named for herself, dropped without much warning, out of the proverbial blues, and this did not make it any less anticipated. Before its final arrival, there has been a steady stream of singles that led to its first official single, Joromi. Joromi sounds familiar ewithout a first listen. Sir Victor Uwaifo had a 70s hits with the same name that will still sway a middle-aged crowd till date, but naming is almost where similarities with Simi’s song ends. There are no fairy tales here, and even if there is, it is a modern one: Girl meets Boy, Joromi, and is attracted. She is giving him her phone digits and instructing him to call. The song is a melodious call and response girded by a strong sense of guitars, a subtle tribute to Uwaifo’s Joromi is craftily hidden. This song updates musical influences from the 70s of Fela through the delightful languid Lagos of Lagbaja to the current contemporary wave of hip-hop fusion. 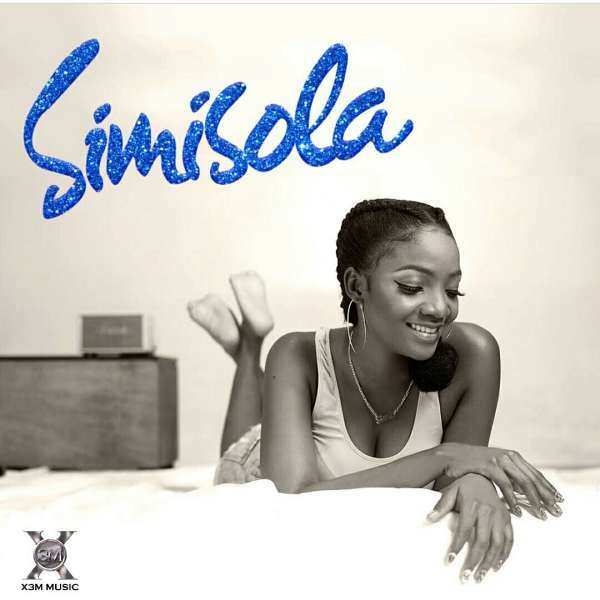 Simisola has 12 new songs with the usual bonus of previous hits, Love don’t care, Tiff and Jamb Question. It misses E No Go Funny which probably belongs on this LP. Lasting about 53 minutes, this album reflects on familiar experiences and wears Simi’s musical influences rather proudly. Remind me, the first song, is a reflective song yoked around the Christianly maxim, ‘Love your neigbour as yourself’. Of course, Simi undertakes a loose interpretation of neigbour, subtly offering a didactic proposition to her listeners. She quickly skips to the delightful Joromi and Aimako, a remake of Chief Commander Obey’s evergreen song. The similarities between Simisola and Adekunle Gold’s self-titled album are unmistakable. They have 15 tracks each. They are both self-titled. Both albums feature one artist, Simi in Adekunle Gold’s case and vice versa. Oscar’s production credit is unmistakable. Ditto for the alchemy of the sound and the entire album’s creative direction. Here is music that is deeply Nigerian from mannerisms to modulations. This album hardly strays away from love: from forlorn love (Complete me), to titillating forbidden love (One Kain) to the afrobeat-tinged unpretentious and uncompromising love (Original love) to apologetic love (Take Me Back, a duet with Adekunle Gold) to dance-hall raga inflected long-suffered and tired love (Angelina). Simisola revolves around all the dimensions of love coming full circle and the affection with which she sings theses love scenarios is heart-rending. The music also rises to the occasion, breathing delightful rhythms to the real-life situation lovers undergo. Whenever the album strays away from love, it embodies Yoruba value and virtues. Aimasiko stands out for its exciting use of the talking drum. This song updates juju music, capitalising on nostalgia and giving it full-bodied rhythm and relevance. Trust Simi to poke fun at the vivacity of the Yorubas. O wa nbe used to be a more nuanced conversation about waist beads and crisp notes, but these days it only marks party presence. Regardless of Simi’s mockery, the good old Yoruba party will be alright. The album is not without flaws. With the mid-tempo heavily percussive HipHop Hurray, the album hits a kind of nadir. It is saved from ending in an anti-climax by bonus tracks. With Simisola, Simi has come to stay, to state the obvious again. She brings along with her an arsenal of vocal range that can hop from a love ballad to a highlife medley. If there is any vocal powerhouse that Simi can be compared to, it will be the Ego of the Lagbaja fame. In conclusion, to merge nurture with nature, there must be something in the water at Ondo Town.